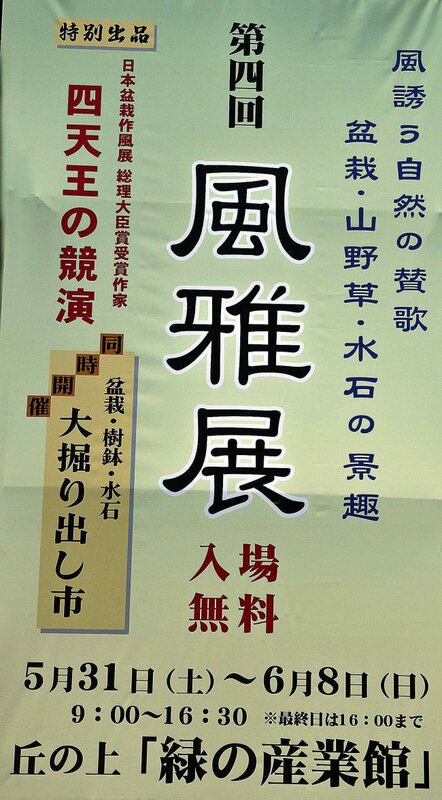 Usually our tours enjoy unexpected surprises. 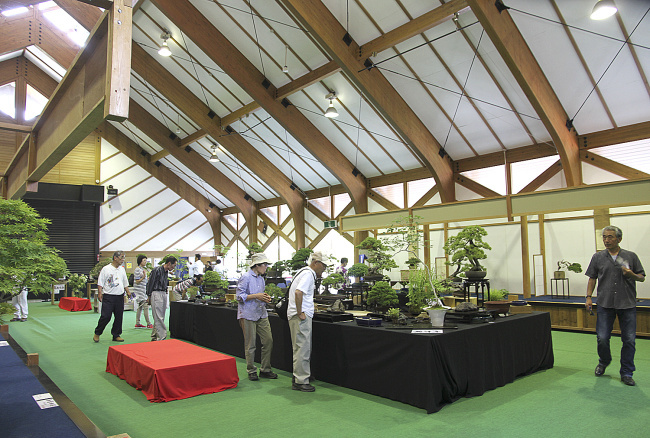 One of the additional unscheduled visits this time was to the FuGa Bonsai Exhibition sponsored by S-Cube, Seiji Morimae’s business. 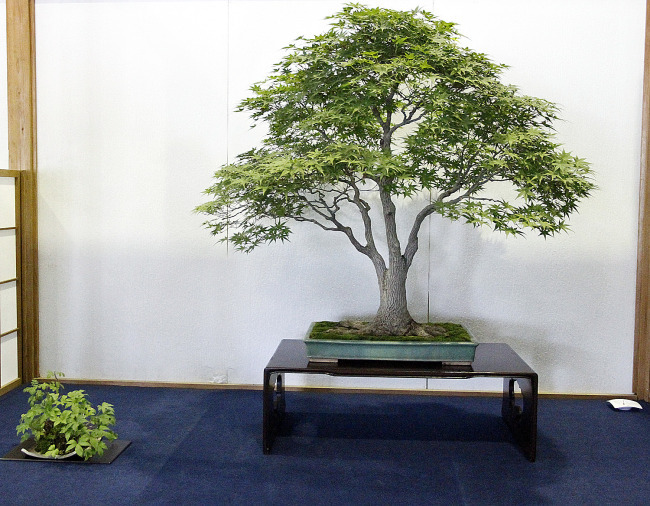 This elegant exhibition of fine quality bonsai was in the Kanuma City Kaboku Center complex, up at the top of a small hill, more stairs, in a specially built exhibition building by the Tochigi Prefecture. 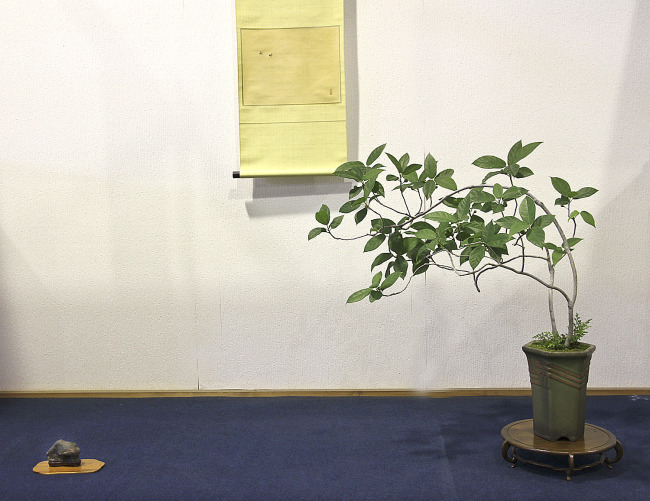 Everything Mr. Morimae does is beautiful and with class, including this bonsai exhibition of his study group and clients. 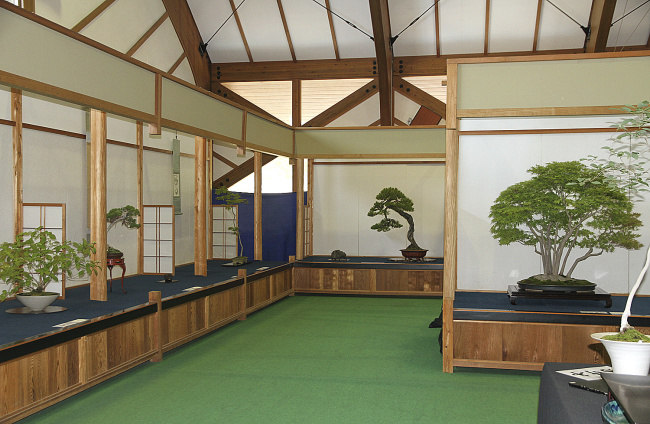 There were five long rows of individual alcove areas with plain backgrounds. 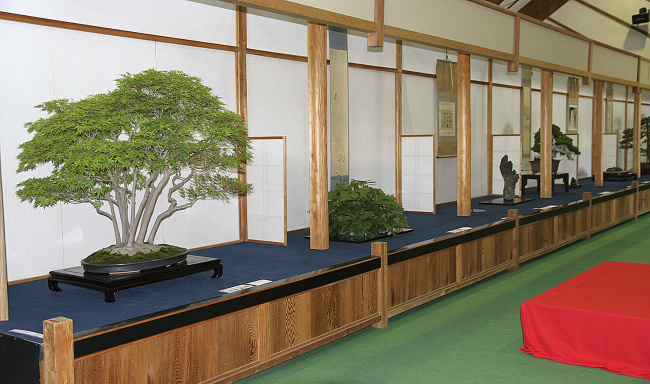 Unlike all the other Satsuki exhibitions, most individual displays had hanging scrolls and companion plantings. 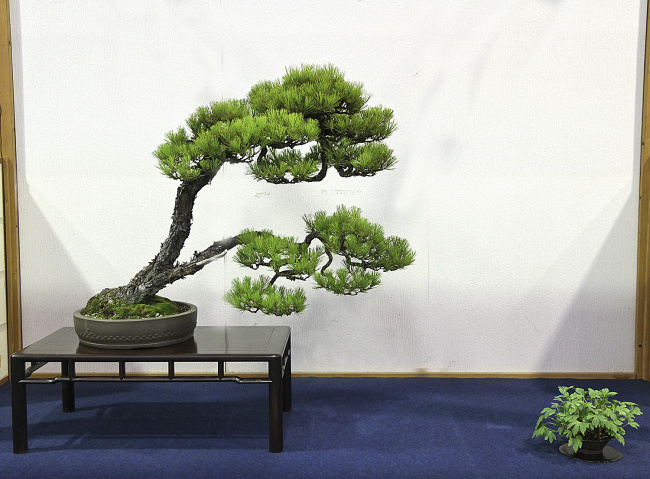 This was a formal bonsai exhibition, complete with a pleasant mix of classical music, not the Japanese type Americans use in shows.